capweird has no other items for sale. 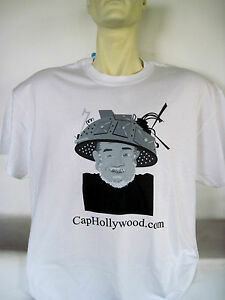 Details about Captain Hollywood Tee T-Shirt CapHollywood Tin Foil Hat Logo Tee NEW Sealed! Captain Hollywood Tee T-Shirt CapHollywood Tin Foil Hat Logo Tee NEW Sealed! Your item ships fast upon your prompt paypal payment. Thanks for checking out my item!